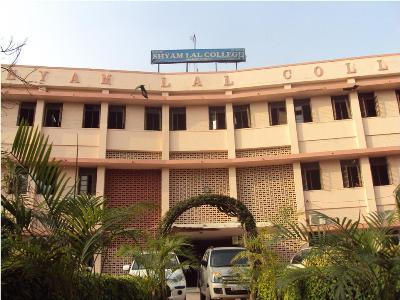 Late Padamshri Shyam Lal Gupta founded Shyam Lal College in 1964 in the capacity of the Chairman, Shyam Lal Charitable Trust. The foundation stone of the College was laid by Late Dr. Zakir Hussain, the then Hon’ble Vice President of India and Chancellor of University of Delhi on 24th May 1964. The Evening College began functioning from 8th September, 1969. It is one of the full-fledged constituent colleges of University of Delhi imparting knowledge in Commerce and Humanities to more than one thousand five hundred students. Its alumni are serving varied professions, ranging from Civil Service, Corporate to Teaching. The College is housed in a spacious building of its own at G.T. Road, Shahdara, Delhi. Apart from numerous bus routes, it is also accessible by Delhi Metro. Visitors may get down at the “Welcome” Metro Station on Rithala-Dilshad Garden, Red Line from where the college is hardly 100 yards away.